Law Firm of David N. Jolly, P.S. Bellingham DUI attorney David Jolly handles DUI & drunk driving cases in Bellingham and all of Whatcom County, Washington. The Law Firm of David N. Jolly is the only multiple DUI attorney law firm in Whatcom County with the sole focus of defending those accused of DUI. The Bellingham DUI attorneys with the law office have over 20 years of DUI law experience. Call for immediate help. Being charged with driving under the influence (DUI) in Whatcom County can be a very intimidating and potentially life-changing event. A conviction for even a first offense can result in loss of driver’s license, fines, alcohol monitoring, jail and higher insurance premiums. Being found guilty would also mean having an arrest record, which could cause employment difficulties. Don’t leave your future to chance. The Whatcom County DUI lawyers at The Law Firm of David N. Jolly are dedicated to fighting the charges filed against you, and facilitating the very best result possible. Their sole focus is DUI law and drunk driving defense. If there is a way to have your DUI dismissed or reduced, the Law Firm of David Jolly will find it. If you have been arrested for DUI in Washington, the experienced Bellingham DUI attorneys with the Law Firm of David N. Jolly will help prepare an aggressive defense. For a free initial consultation and evaluation of your arrest for DUI in Whatcom County, please call (360) 293-2275 or complete the form. During an arrest for DUI in Whatcom County, the officer usually punches a hole in your driver’s license and provides you with a form to request a hearing with the Department of Licensing (DOL). You have only 20 days to send this form to the DOL requesting a hearing. If you do not, your license will be suspended. The Whatcom County DUI Attorneys with the Law Firm of David N. Jolly will advise you, free of charge, on the DOL hearing process and the advantages of requesting a hearing. With the Law Firm of David N. Jolly you will receive a complete DUI defense. The Bellingham DUI attorneys with the Law Firm of David N. Jolly have successfully handled thousands of DUI cases in Washington. The law firm strives to offer the most aggressive and intelligent defense to those accused of DUI in Bellingham or Whatcom County, Washington. Members of the DUI defense team include former Washington DUI prosecutors and public defenders. It cannot be emphasized enough that the Law Firm of David N. Jolly only practices DUI defense. As a result, the DUI lawyers are more focused and knowledgeable than the police officer, prosecuting attorney or judge that you may face in your legal battle. Through the experience of the DUI attorneys with the Law Firm of David N. Jolly, they have professional relationships in the courts and with the judges and prosecuting attorneys where they practice law. Their excellent reputation and knowledge allow them to help you get the best possible result. Unlike many criminal defense attorneys, the Law Firm of David N. Jolly will tell you exactly how much they will charge for their services. 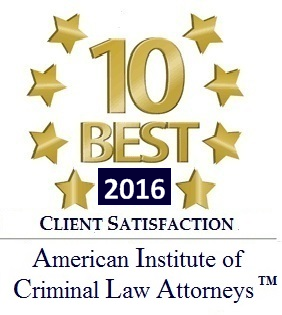 Their fees are competitive, and in many cases lower than other criminal defense attorneys. Their pricing is deliberately set, so that their clients receive the highest amount of work, service and expertise for the money. The Law Firm of David N. Jolly accepts many forms of payment, and, in most cases, can set up payment plans that work with your budget. Before you hire a DUI attorney, please call the Law Firm of David N. Jolly to discuss your DUI case. They offer the most experience and the best service for the money. David Jolly has been practicing DUI law in Washington for well over a decade. He is a graduate of Northern Illinois University College of Law and was the graduating Valedictorian. While in law school he represented the school in national moot court competitions and founded the law school’s largest student organization. His professional career started as a prosecuting attorney in Snohomish County, WA where he learned the basics of DUI practice and all of the tricks of the trade practiced by police officers and troopers. David Jolly never lost a DUI trial as a prosecutor. After his nearly four years as a prosecuting attorney he left the prosecutor’s office and began representing private clients. In 2007 he had published “The DUI Handbook For the Accused“, the only such book in Washington State written for those accused of DUI. In 2009 his second book, “DUI/DWI: The History of Driving Under the Influence” was published to great acclaim. The experience of authoring two books on the subject of DUI has both expanded his knowledge and also has given his recognition within the DUI legal community. Bellingham DUI attorney David Jolly is a member of the American Bar Association, the Washington Bar Association, the Whatcom County Bar Association, the Snohomish County Bar Association, the Washington State Trial Lawyers Association, the Washington Association of Criminal Defense Lawyers and the DUI College of Defense – Harvard Law School. He is certified by the National Highway Traffic Safety Administration for DUI Standardized Field Sobriety Tests. Janean Jolly is the Law Firm’s officer manager and the individual who coordinates license hearings directly with the Department of Licensing. Like our attorneys, she is uncompromising and meticulous, and, as a result, every client’s DOL hearing is given the time and focus that it deserves. Janean’s work with the Department of Licensing on behalf of clients ensures that hearings are properly scheduled, subpoena’s are properly obtained and served, and that clients are properly notified of the issues with the DOL. Janean has a Master’s Degree and is Certified in Field Sobriety Test (FST) administration, which means she has as much training in FSTs as the majority of police officers and state troopers in Washington. For a free, no obligation review of your case, please call the Whatcom County DUI lawyers with the Law Firm of David N. Jolly by calling (360) 293-2275 or filling out the consultation request form. One of the Bellingham DUI attorneys will contact you usually within an hour of your request if it is made during work hours (and definitely within 24 hours if made after hours or on the weekend). Before you decide on a Bellingham DUI lawyer, be sure to discuss your case with the Law Firm of David N. Jolly.